​Armed with physiotherapy qualifications and extensive clinical experiences from Singapore, Australia, UK & US, Jasmine returned to serve the Malaysian community in the early 2000s, working with a few medical centres in Kuala Lumpur and Petaling Jaya. However, with her very different and advanced approaches to rehabilitation, Jasmine found there is a need for a professional rehabilitation centre with high clinical standards. In 2005, she formed Physiowerkz to realise her dream of giving the very best professional rehabilitation service that is patient-centered. 2. A team of therapists to practice as "first-contact practitioner" in order to provide the best possible care to our community. Her mission since is working on a strong mentoring system to enhance the therapists' analytical skills, clinical skills and to promote life-long learning culture. She has used her experience and creativity to design new treatment techniques and approaches, putting her ahead of the game. With over 20 years' worth of experience treating many injuries and conditions holistically, focussing on the root cause of their conditions and resolving them, she designed her own system of diagnosis, analysis and treatment. She has created the Physiowerkz's Movement Analysis & Treatment (PMAT) system that has been proven to be an effective solution for pain and mobility issues in many people and which is getting attention internationally. Her diagnostic and treatment approaches to the human body is much more advanced compared to the conventional ones in the market. The strong clinical reasoning behind the PMAT system allows her to identify the root cause(s) of a condition, focusing producing the best short- and long-term results rather than aiming for only short-term, temporary symptomatic relief. The diagnostic results also helped to prevent future injuries and enhance one's daily/sports performance. Since then, the Physiowerkz team has grown from strength to strength, further developing practical, comprehensive and specialised programs by fusing other disciplines effectively to return the patient to his/her original state of well-being form, and even making it better. Check out our different specialty programs page where each one is unique and one of its kind in this country! "My interest in physiotherapy was fostered when I was trying to figure out the reason why I kept sustaining injuries from an active lifestyle while trying to lose weight," she shares.. Coupled with the painstaking experience of her loved ones who had to deal with her persistent muscular pain, it led her on the path to pursue the holistic field of physiotherapy. Born and bred Sarawakian, Eva has adventurous taste buds which involves lots of kitchen experiment. She also loves ballroom dancing and High Intensity Interval Training (HIIT). Her bucket list includes tracking through Nepal, bungee jumping and rock climbing. The motto that gets her going in life is 'Count Your Blessings in Life'. Bing Hui picked her career pathway because she was amazed by the complexity of the human body and movement, and the connectivity with our powerful brain. ​"My first experience with physiotherapy was when I was in high school. A friend of mine was diagnosed with scoliosis and it sparked my curiosity as to why our spine can move into an S-shape. This has inspired me to venture into this field," she discloses. "After joining Physiowerkz for two and half years, the most motivating thing for me daily at work is to see improvement in my patients. I love their smile when they tell me about their improvement. Besides, I always enjoy listening to other people’s life story. Being a FRIEND to each of them makes me happy. "Despite my hectic work schedule, I like to go hiking as being able to have a panoramic view from the top after going through the tough route to get there is really rewarding. Hiking helps me relieve stress. I am also actively into disaster management as a volunteer and I conduct classes for autistic children from disadvantaged families to help them get on the mainstream society. I am happy to be able to assist them with my skills," she adds. "What keeps me going forward in my daily life? Being grateful with what I have and give my best to the people around me. I will always be happy if everyone around me is happy. " 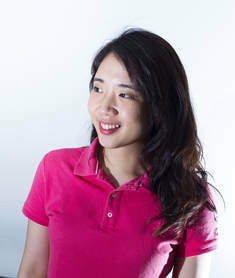 A taekwondo exponent, Yen Li also plays badminton and basketball. Like all athletes, she had her fair share of injuries which got her searching for answers as to why they happened. In her pursuit to understand this, she stumbled onto physiotherapy and fell in love with it. Quiet with a sense of humour, Yen Li is always up for a challenge. She is also into music. "My love for dance led me to physiotherapy and there's no turning back now!" she says. A dancer herself, she understands the frustrations a dancer goes through when they have an injury. "I want to help them get out of injury and even prevent injuries from happening in the first place," she adds. "Dance physiotherapy is still far behind in Malaysia but together with the team, I hope to change this!" P.S. If you’re not a dancer, don’t worry – she would still treat you… and she might even get you to dance a little! of life. She believes that everyone is inclined to do good and be of great service to others. "The elderly community has a special place in my heart," she says. Thus it is of no surprise that she chose physiotherapy as her career. "I reckon that a life lived well is one that serves others well." Her friends describes her as caring, witty and easy to befriend. She is an animal lover and enjoys playing piano and the ukulele. She also plays badminton and ultimate frisbee during her spare time. Xue Ann: It is very meaningful to help people regain their strength for active daily living. “At that point I got to learn about this profession and felt that it was very meaningful to help people regain their strength for active daily living. Sylvia: I believe in giving back to the community. Sylvia went through 8 years of clinical experience as a physical therapist in various settings and specialization after completing her Diploma in Physiotherapy from a local university. An ACE-certified Personal Trainer, Louis is a firm believer in the power of exercise. However, it was his passion for helping people, while empowering them to contribute to their healing, was what drove him into physiotherapy. A vegan, Louis uses his free time in the kitchen, experimenting new vegan food. Ken, as he is fondly known among colleagues, was at first curious about how the body moves. “When I started resistance training in the gym, I learned the hard way. I sustained multiple chronic pain that were relieved through movement exercise. It led me to understand, express and rediscover a stronger version of myself. Since then, I am devoting my life towards helping others experience the same - to move and live better,” he says.